There’s nothing quite like spending some time in the great outdoors, surrounded by unforgettable sights and sounds that could never hope to be matched by the hustle and bustle of the big city. 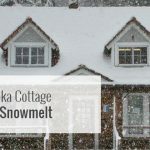 The Muskoka region features gorgeous scenery all year long, and has no shortage of fun events, hot spots, and getaways that are sure to keep you entertained throughout the entire calendar year. Muskoka Window and Door Centre is recruiting skilled carpenters and tradespeople for 2019 and beyond, giving you the perfect opportunity to experience everything that Muskoka has to offer. Sometimes you just need to get away from the city and experience nature to charge your batteries. Muskoka is the perfect place to do it, featuring an endless amount of outdoor fun throughout the entire year – whether it’s the lush foliage of the summertime or the vibrant colours of the fall, every season will continue to take your breath away. For those who like to get out and explore, Muskoka is home to a whole host of trails and hiking opportunities that give you a chance to take in waterfalls, beaches, and the famous Tree Museum in Gravenhurst. The Muskoka region is home to many recreational activities including ATV trails, and boating, fishing, and swimming on the region’s many lakes. Gorgeous golf courses give you the chance to practice your backswing, and music and food festivals offer a great opportunity to meet people and explore new interests. Anybody looking for some extra excitement throughout the warm season can enjoy Muskoka’s famous breweries and wineries, including Muskoka Brewery, Lake of Bays Brewery, Sawdust City Brewing Company, and Muskoka Lakes Winery. Wintertime getaways include plenty of opportunities for ice fishing, skiing, snowmobiling, snowshoeing, ice skating trails, and a whole host of winter carnivals and events that take place throughout the region. 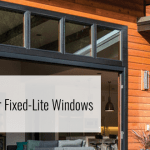 For more than 30 years, Muskoka Window & Door Centre has created a name that has become synonymous with excellence throughout the Muskoka region. Muskoka Window & Door Centre is seeking skilled carpenters and tradespeople that will help us to uphold this reputation for workplace professionalism, project transparency, and superior attention to detail. Our company is located in Bracebridge, the heart of the Muskoka region. Bracebridge is home to a wide variety of pubs, breweries, lakes, and beaches that perfectly capture the natural beauty of the Muskoka region. Being part of the Muskoka Window & Door Centre team means that you’ll be earning competitive wages similar to what you’d be making in the GTA, but with the added perk of being surrounded by the beauty and excitement of Muskoka each and every day. Members of the team work alongside an experienced and friendly team of industry experts, working in a secure environment at all times with an emphasis on safety. Team members also get to work a secure job with more reliable hours than the average construction project. Check out the Job Openings page on our official website for more information about the responsibilities that these positions hold, and for more information on how you can apply. For more information about the exciting job opportunities found at Muskoka Window & Door Centre, visit our website or contact us today.